Every morning as I drink my first cup of coffee, I read through psychology news. I find useful articles to help me learn more about psychology or more about issues relating to particular clients I have. I have a few other blog posts started on my computer, but put them aside because I have found a theme that I think is worth addressing. I have noticed that the topic of narcissistic personality disorder has come up in many outlets of media. Even in my sessions lately, I have had clients mention this disorder as something they think a family member or even their partner may have. Personality disorders have always fascinated me and I am starting to see that they fascinate others as well. There is not specific evidence to support the actual cause of personality disorders, but most mental health professionals believe childhood and someone’s environment plays a huge part in the development of a personality disorder. It makes sense too because infancy to childhood is when our personalities form. People can have traits of a disorder and not have the disorder; in fact, many people do have traits of various personality disorders because they are pieces of each of our personalities. What makes them traits of a disorder are if they are much more extreme and interfere with daily activity. I want to help clarify, as a clinician, what exactly is narcissistic personality disorder and what can be done about it. So, what is Narcissistic Personality Disorder? Narcissistic Personality Disorder, commonly called NPD, is clinically defined as a pervasive pattern of need for admiration, grandiosity, and lack of empathy that expands over various contexts. As a therapist, I look for signs that this behavior and mentality is not just in their romantic relationship for example, but also that it extends to work and social matters. Pervasive patterns are established ways of interacting and thinking. I test for pervasive patterns as I talk to someone and ask questions. As with every disorder, a set of criteria has been established for NPD, which you can find here. Therapists look for the required amount of criteria to be met in order to give a diagnosis. For NPD, the first criterion is that this person has an inflated sense of importance. Typically, I will hear comments about their amazing abilities, and an outpour of accomplishments. Along with speaking highly of their abilities, typically individuals with NPD will put down those around them because no one is quite as good as they are in their minds. The second criterion is individuals with NPD become fascinated and preoccupied with dreams of ultimate success, power, beauty, etc. This preoccupation will often lead them to compare themselves to highly successful people when they may not deserve that comparison. Someone with NPD believes firmly that they are unique and special and with their special traits, they do not expect others to see them that way (criterion 3). People with NPD will often try to only associate with others who they deem to be special and who have similar status as what they feel they possess. With this criterion, it is important to understand that people with NPD are able to boost their own self-esteem by placing value on the people they surround themselves. They try to associate with the best which makes them feel that the fantasy they created about their abilities is more realistic. Perhaps the most outstanding of all the criterion, criterion 4 is a requirement of excessive admiration. Being some of the most charming individuals, people with NPD will fish for compliments and/or expect unrealistic welcomes or goodbyes while being preoccupied with how favorably they are regarded by others. The notion of regard from others directly impacts their self-esteem. The next two criteria are a sense of entitlement and conscious or unconscious exploitation of others. Entitlement for people with NPD involves an expectation to be catered to and if they are not, they become furious. Things like waiting in line, handling their everyday “chores,” are looked down upon by those struggling with NPD. They typically expect to be given what they want when they want it regardless of how it impacts those around them. Relationships then only become useful if the other person is able to feed into the NPD’s sense of self-worth or is able to help them advance toward their fantasy life. A lack of empathy and a general disconnect from others’ feelings is the 7th criterion. People with NPD tend to assume that other people are more worried about the welfare of the person with NPD as opposed to their own. Marked as overly impatient, people with NPD will focus on their needs and get angry when others discuss their own needs or wants or will consider anyone aside from themselves expressing wants as being weak. 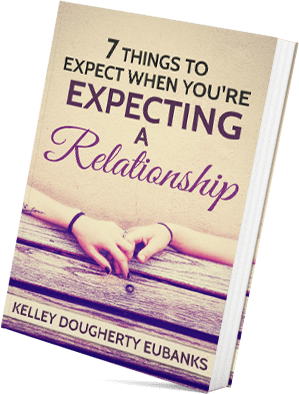 Relationally, NPD makes people come across as cold and disinterested emotionally. The last two criteria are jealousy of others and snobby/rude attitudes. Often times those with NPD will struggle to watch others succeed and feel like they deserve others’ achievements or admiration more. If others around the NPD receive praise, the person with NPD will become furious and will devalue the other person. The attitude can be difficult to identify, but typically comes across as condescending and putting others down. As with other personality disorders, NPD is developed over a course of time instead of just in particular instances. What makes it a disorder, particularly a personality disorder, is that it affects the way a person acts and interprets everyday life. It interrupts everyday functioning, not in the same way as other mental disorders. Things like anxiety and depression can be linked to specific times and/or specific triggers whereas personality disorders occur daily and are more ingrained. NPD is diagnosed through the previously explained criteria as well as gaining an understanding of how a person reacts to situations. Because those with NPD are classified as vulnerable, they tend to react very strongly to criticism. Rage, counterattacks, humiliation, outright smear campaigns are some of the reactions from those with NPD. It is very difficult for those with NPD to maintain relationships because of their entitlement, their excessive need for attention, and their lack of empathy for others. The closest relationships they are able to keep are those where they gain something for themselves. As a therapist, it is difficult diagnosing personality disorders because many of the disorders overlap. When I interact with clients, I am able to detect whether or not an individual meets the criteria, but it becomes more difficult because personality disorders can be masked by others disorders as well, not just other personality disorders. Commonly, those with NPD are diagnosed with substance abuse issues and anxiety. Many traits like lack of empathy are reflective in personality disorders like borderline personality disorder, antisocial personality disorder, and histrionic personality disorder so it takes time to determine the other criteria to make an accurate diagnosis. So, what is the truth behind Narcissistic Personality Disorder? It is incredibly difficult to diagnose mainly because those with the disorder do not come in for treatment. I see people with the disorder because they come in for couples’ sessions. Even in those sessions, the person with NPD is there to win me over, not to hear the truth. Another truth about the disorder is that it is a label thrown around lately, when it should not be. Any diagnosis needs to be handled with care and needs to be followed up with the correct treatment. NPD is treated through talk therapy, which now having an understanding of the disorder you can imagine is quite challenging. The most commonly accepted reasoning behind personality disorders is nature and nurture. People with this disorder grew up in chaos and have learned and even developed incredibly unhealthy ways of interacting with others. Even more importantly, they have developed an unhealthy view of themselves. Despite their outward actions, many people with NPD are very damaged and do not know how to love themselves. Next time you read something about NPD or interact with someone who has NPD traits, remember how empty it must feel to not know how to love yourself let alone others. Hopefully as science evolves and mental health is considered more important, further studies can indicate more realistic treatment for such a powerful personality disorder like Narcissistic Personality Disorder.